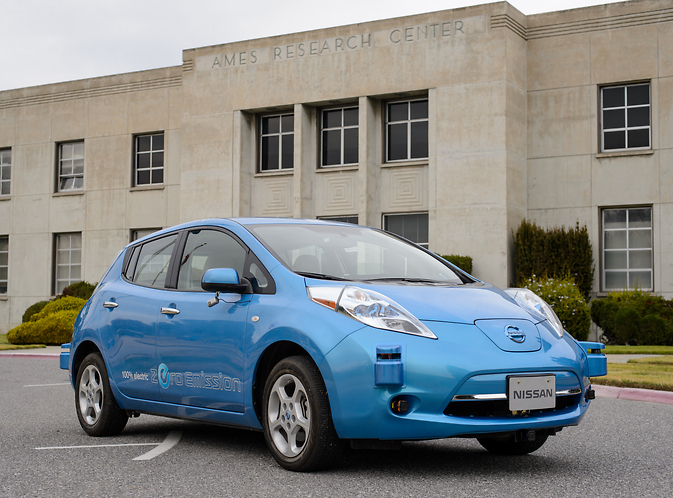 The NASA Ames Research Center in Northern California and Nissan North America have signed an agreement that will create partnerships in a number of futuristic fields including autonomous vehicles, robotics, and human-machine interfaces. The deal is expected to lead to the development of self-driving cars and planetary rovers. NASA will benefit from Nissan’s shared expertise in innovative component technologies for autonomous vehicles, shared research to inform development of vehicular transport applications, and access to appropriate prototype systems and provision of test beds for robotic software. Lessons learned from integration, testing, and demonstrations will enable Nissan North America to better plan for development and commercialization of autonomous vehicles and applications.